Volume loss is one of the most visible signs of aging. Often when looking at an older person, it appears almost as if the person’s skin is a size too big. The problem is volume loss along with skin that has lost much of its elasticity as time has passed. Volume loss is mainly a factor of decreasing collagen. Collagen is a protein that is responsible for providing the skin’s structure. For some reason, the body sees fit to produce one additional percentage point LESS collagen every year after we have our 20th birthday. Over the course of 30 years, that means our bodies are producing basically one-third less collagen. This shows itself in hollow cheeks, sagging areas around the mouth, thinning lips, and other volume-loss issues. People think of wrinkles as the signs of aging, but volume loss is actually more telling. That’s why Juvéderm®, one of the world’s most popular dermal fillers was invented — to replace volume lost to aging. What started as a single popular filler has now grown to a family of four fillers, each targeting a different area of the face. 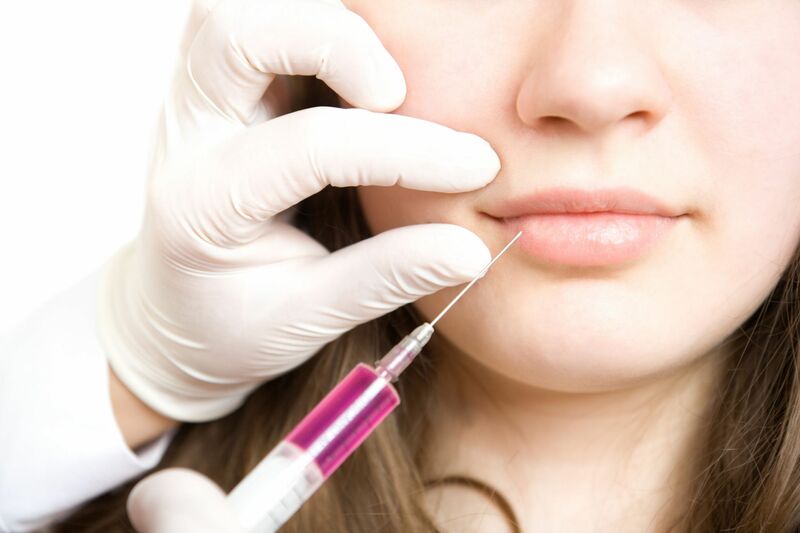 Dr. Herte provides all the Juvéderm® fillers for her patients. If you’re here checking out Dr. Herte’s blog, you’re probably pretty savvy about the aesthetic world, and you’ve probably heard of hyaluronic acid. Hyaluronic acid is a naturally occurring substance in the bodies of humans (and most other mammals) that is responsible for binding with water molecules under the skin to hydrate, plump, and firm the skin. All the Juvéderm® fillers are hyaluronic acid based. This is why these fillers are categorized as “naturally derived” fillers. This is in contrast to other fillers such as Radiesse, which are made from synthetic materials. They are “synthetic” fillers. If you’re writing the great American novel and want your character to use an aside in a conversation, parentheses are great. But when they show up framing your mouth, they are not welcome. Parentheses lines are the lines that form on each side of your mouth. And then you have the creases on the side of the nose that extend to the corners of the mouth, smile lines. In Las Vegas, it seems everyone touts the latest “anti-aging” serums that supposedly remove these lines. But really all they are doing is moisturizing the skin’s surface layer, the epidermis. Juvéderm® XC adds volume beneath the skin to push back up these lines and folds and smooth the skin. Dr. Herte may call it “age-related midface volume loss;” you call it hollow, sagging cheeks. Over time as you lose the collagen to support your skin and as your underlying muscles weaken, your cheeks flatten. Juvéderm® Voluma XC is designed to add volume beneath the skin’s surface to lift and contour the cheek area. Plump cheeks are generally considered to be a tenet of a younger look. Given some time, the Juvederm family could be more popular in Las Vegas than the McCarran family, even the Osmonds. Interested in replacing some lost volume on your face? Call Dr. Herte, and let’s find the Juvederm option that does the trick, 702-732-9600.